I originally only had one pair of candy corn earrings, but then got a custom order for a bracelet and had two left over -- so there is ONE MORE PAIR of candy corn earrings left on the web site! There's also one more bracelet left -- perfect if you're heading to Broadway to see "Wicked". 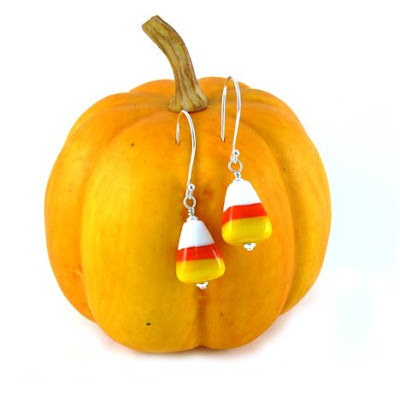 I'm interested in the candy corn earrings. When I hit the link to find the price it doesn't get me to where I need to be! The search on your site didn't help. You Want to be ME??? ?